We think the secret is out... Andy Gullahorn is one of Nashville's finest songwriters. The layered acoustic melodies, the authentic lyrics, and those classic Gullahorn "turns" (where he takes you from laughter to tears in just seconds) are all on full display here on Fault Lines. One UTR critic called this release "a raw and honest look at humanity & its desperate need for grace." Another stated, "This is a master class in the art of musical storytelling." Fault Lines is THE best album of 2016! Fine wine. Poets. Cathedrals. Baseball cards. Some things naturally seem to get better with age. Rock bands are usually not on this list, but Switchfoot is. Instead of chasing the nostalgic sounds of a former glory, they keep growing and evolving as incredible artists. 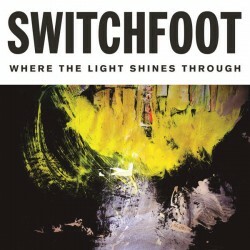 One of our panelists says Where The Light Shines Through is "arguably the band's strongest release to date." Another described it as "thoughtful lyrics, punchy hooks, and a crisp sound that continues to explore new territory." "This is one of the most meaningful albums I've ever heard." Our critics adored the latest effort by Needtobreathe, which was (justifiably so) the most commercially successful album on this list. One critic said, "Full of groove, great horns, amazing vocals, and thoughtful lyrics, Hard Love stands the test of repeated listens." Another chimed in, "This might be the most mood-changing album this year. 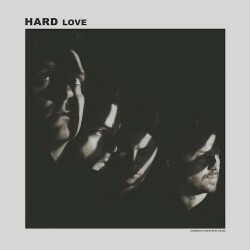 The synth, grungy beats, soul, and wall of sound on Hard Love can brighten anyone's day." Eric described this album as "an intentional left turn." Producer Gabe Scott said "that was a rule, not just an idea." They pushed each other to not make any predictable musical and production choices, and the result has been described by our own panel as "breathtaking," "ambitious," and "mesmerizing." As one of our critics stated, "Of course the lyricism is fantastic as ever, but the epic electronic soundscapes breathe plenty of fresh life into these songs." 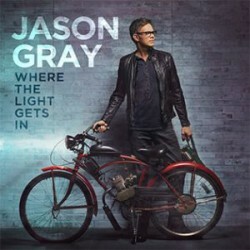 Jason Gray's previous album dealt with pain and heartache, and here we get the natural expression after walking out of darkness and into light... joy. Some of the production choices are clearly aimed at a CCM audience, yet what truly shines is the excellent songwriting. As one UTR panelist described, "His most joyful and fun record-to-date mixes thoughtful songwriting with catchy hooks." Another said, "It may be his career best work. Gray wears happy well." "These guys offer well-crafted, unpretentioius music that is sure to delight fans of classic country rock." 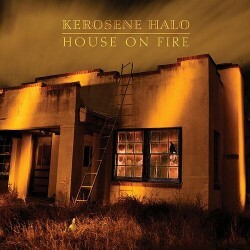 Derri Daugherty of The Choir and Michael Roe of the 77s team up to form this side project, Kerosene Halo, and we finally get the follow up to their 2011 debut. One UTR critic stated, "House on Fire is one of the under-rated highlights of the year." Another agreed, "This quiet and soulful record would have knocked me out even if the ones behind it weren't musical legends." Gritty yet singable. Thoughtful yet relatable. Indie yet commercially viable. 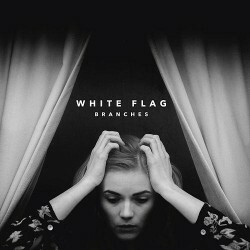 It's not easy to describe the jaw-dropping new album White Flag by Branches. Rawckus Magazine described the sound as "think Peter, Paul & Mary singing Arcade Fire tunes." One panelist said, "The whole album is around the theme of surrender - very catchy songs, and at times very psalm-like." Another wrote, "This mature and layered record will 'wow' you on first listen, and even gets better after that." "It feels like the soundtrack to a familiar story you haven't read yet." Our critics instantly fell in love with this April 2016 release, the third career project by The Gray Havens. This fan-funded album was produced by Ben Shive and gives a more epic tone to these well-written songs. One UTR panelist described it as "a stirring collection of songs with folk sensibility and rich, layered soundscapes." Another stated, "Ghost of a King will take your ears and heart on a memorable journey." These are not your grandma's hymns. Well... actually they are, but these new arrangements are as sweeping as a movie soundtrack. 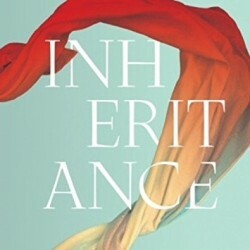 Here's how one critic described Inheritance, "Floating and crystal clear vocals are supported by a lush bed of instrumentation - sweeping and beautiful." Another explained, "Audrey's vocals will soothe your soul - all of the songs are reverent and worshipful." This project might be the perfect compliment to your personal time of prayer and worship. 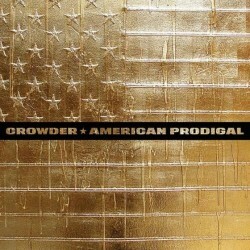 This is the 2nd release of David Crowder's new band, and there is no sophomore slump here. Their unique swamp-pop/folktronica style will have your feet stomping with a smile on your face. You'll find some worship songs, some of them will gain some CCM radio airplay, but it's the more grunge-Americana songs that are the true gems. One panelist said, "David Crowder once told me he wanted to blend the front porch with the dance floor. Mission accomplished." Over much of the last 2 decades, Sandra McCracken has quietly become one of the most prolific songwriters & psalmists of our generation - especially in her contributions to a "new sound" of worship in the Church. One critic shared this about God's Highway: "McCracken's voice has found a natural home amongst Scripture songs, and this album is lovely." Another said, "So beautiful. Several of these songs bring water to my eyes whenever I try to sing along." Are these the only GREAT albums from 2016? Of course not -- but these 11 are a great place to start for high quality soul-enriching music. And though the Critics picks were widdled into this collective Top 11 list, a total of 62 ALBUMS were cited by our panel -- and you can read the entire list here! b) Are there any albums that you'll try out (or give a second chance) based on this list? Nice list guys! Some are pretty mainstream (surprisingly, yet not unfairly) and I know well and enjoy, others are I’m anxious to check out sometime. Really glad Assad’s is on here, even though there are just a few originals on Hymns, it’s stunning. And she puts a welcome spotlight on some of the Church’s liturgical treasures. I will say, I was surprised Kings Kaleidescope’s “Beyond Control” did not come up in any discussion, thought their sophomore attempt was very well done—powerful, honest, gutsy. Young Oceans’ Voices Vol. was wonderful too, but it’s more of a compilation so I don’t know if it meets the criteria. I definitely want to look into Andy Gullahorn, Eric Peters, and Sandra McCracken because I have not listened to them yet. Thanks all! Great list! I’ll be checking out a few that I missed (like Branches and Eric Peters). I was really hoping to see Maron Gaffron’s “Holding Pattern” on the list. That album is outstanding! I hope it at least received consideration. Maron Gaffon’s album was one of the 62 albums cited by the critics panel. There is a link to the list near the bottom of this blog post. I agree that Holding Pattern is excellent! Great list!! These’s only one on your list that was new to me (White Flag - Branches) and I’ll be taking care of that shortly. I’m missing the podcast, I’m looking forward to what the new year holds. Honestly…I thought the list was too predictable. And 3 of the 5 in the top 5 probably wouldn’t make my top 30. I, too will be looking up White Branches. #6 is likely my #1. I also wonder how a multi-hued album like “Beyond Control” didn’t get more votes. And Maron’s great record. I’ve been wanting to buy the Sandra McCracken album but just haven’t gotten around to it yet. 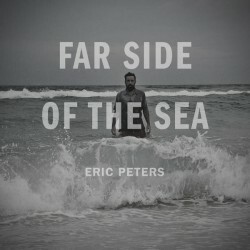 I haven’t followed Eric Peters or Branches much, but I will have to give them a listen. Another under the radar album I haven’t listened to yet but know you’ve played her music before is Staci Frenes. Also, I always loved the 77s back in the late 80s, early 90s, so I will check out Kerosene. We’ve enjoyed inheritance greatly as a family. Have had my eyes on Fault Lines and Ghost of a King, and will probably get both of those to start the new year. Great list…wonderful to see Andy Gullahorn at the top of the list. My wife and I saw the Gray Havens live this year - disappointed by the size of the crowd, but an amazing concert, and thankful to see you recognizing them for their talent. Now, I’m a sucker for Christmas music, but I have to say I would have included Josh Garrels’ Christmas album this year right up there with my other favorites this year! God Bless and thanks for another great year! Really enjoyed the episode, Dave. Faultlines, Where the Light Gets In and Ghost of a King (as well as a heavy dose of Slugs and Bugs). Have been a large part of our soundtrack during 2016. So glad that Brettan Cox got an honorable mention. Beautiful music. This is indeed my favorite part of UTR - the Year end wrap-up. Andy Gullahorn and Eric Peters have been constant companions this whole year, so I’m delighted to see them at the top of the list. It was a good year for music. Switchfoot was probably my favorite,with Needtobreathe, Crowder, Sandra McCracken, and the Gray Havens not far behind. 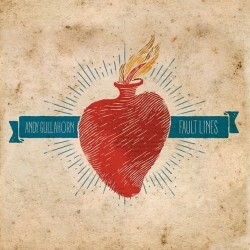 I like Andy Gullahorn but haven’t listened to his new album yet, so maybe I will have to check it out. I love Audrey Assad’s Inheritance album, but I haven’t heard the other albums yet. I look forward to listening to the rest of the albums, as one of my new year’s resolution was to broaden my scope of music and artists. I love reading the other comments and hope to check everyone’s favorite songs! WooHOO! It’s mid-January and I’m still working on taking down the Christmas tree. I’m gonna hook up the Top 11 of 2016 podcast to my sound system and crank it while I do this most unpleasant task. I love many of these artists, but quite a few I’m not familiar with, and I’ve only heard one of these albums (Ghost of a King) and I have one on it’s way to me via mail (American Prodigal). I have no doubt a lot of these will land on my “must have” list. OK…off to listen! Thanks UTR!! Great list! There are a few that I still need to check out so thanks for the recommendations! Thank you for including Audrey Assad and Sandra McCracken. Both great records! But my favorite album from 2016 was Love Be the Loudest. Best song: The Fire. Thanks for the tip on the Andy Gullahorn album. I’m loving it. My favorite albums of the year were Assad and McCracken’s latest offerings. I own 1,4,9 and 11. I haven’t listened to 9 and 11 all the way through yet, but I already know I will love them. I’m sure I will love the others on the list as well. I know where to apply my gift card if I win. Love the list. Thanks so much! Nice list. I’ve really enjoyed Audrey Assad’s album and as a dad that has lost three children to a genetic condition, Eric Peter’s song Beautiful One (Nowhere) is especially powerful. Thanks for exposing me to his music. I listened to the podcast and see that a sampler from Branches is available on noisetrade. My afternoon listening is set. Good selections. I Kickstarted a few of those so it’s good to know I have good taste in music too. I never got around to listening to Fault Lines, even though I heard about it so much at the Rabbit Room. I’ll have to check that out soon. 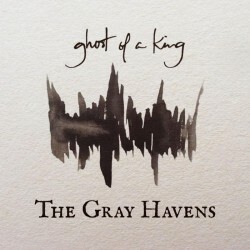 The Ghost of a King album was almost all I listened to this fall; it’s one of my favorite albums ever. So glad to see it here. I bought the first half of Far Side of the Sea as well and it’s been playing a lot around the house (strongly reminds me of Owl City’s sound—nostalgia for anyone else??). Also, I’ve only heard Audrey Assad’s voice on the UTR samplers, but her music is so beautiful. Branches is a new find for me! Thanks! So glad to see Fault Lines at the top. Gullahorn has been one of my favorites for years now. I see the Rabbit Room fellows made a significant impact in 2016! Thanks for this. Always highly anticipated. The Gray Havens have been a steady back drop of sound thru this fall and winter as has Andy Gullahorns album. I love love love his song “Is It Real?” In which the lyrics “there’s a man who looks like Donald Trump” opens up the vivid imagery of this song and album. I have also loved Giants and Pilgrims “Almanac”, sorry to not see it here. I enjoyed the video you did to highlight these records and will be checking out Sir Eric and Sandra McCracken soon.